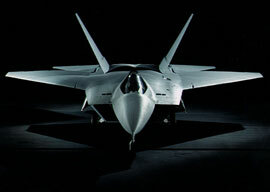 In early 2035, the thirty-fourth year of the war against al-Qaeda, the Pentagon issued a White Paper saying that the F22 Raptor, the front-line fighter plane of the United States, was nearing the end of its useful life and needed to be replaced. Not everyone agreed. Various budget-cutting organizations argued that the Raptor had never been used and thus no one could tell whether it had a useful life. Anyway, the job of the Air Force”killing Third World peasants and their families”had been coopted by drones. America didn”t need a new fighter, said the critics. The Air Force countered that the new plane would look feral and make loud, exciting noises. To this, critics could find no rejoinder. Design studies began. An early question was what to call the new fighter. By tradition, aircraft were named after aggressive but unintelligent birds (F-15 Eagle, F16 Fighting Falcon), unpleasant animals (AH-1 Cobra, F-18 Hornet), ghosts (F-4 Phantom, AC-130 Spectre), or Stone Age nomads (AH-64 Apache). However, something with more pizzazz was needed to get funding through Congress. A national transgender-advocacy group favored “Susan B. Anthony,” but this was held to be disrespectful of Ebonics, and in any event Anthony might be Susan. It was hard to tell about these things. The Air Force prevailed. The Rabid Bat was born. Squabbling over specifications immediately began. Lockheed-Martin and Boeing Military Aircraft, both expected to bid, wanted a cruising speed of Mach 13, as this was technically impossible and would allow them to do lucrative design work until the entropic death of the solar system. A time-honored principle of government contracting is that if you are paid to solve a problem, the last thing you want is to succeed, because then you stop getting paid. This explains the anti-ballistic-missile program, racial policy, and Congress. The matter of social consciousness arose. Half of fighter pilots were women, as prescribed by law in 2016. To facilitate gender equity, a bracket in the pilot’s seat was mandated to hold a telephone book for the flier to sit on so she could see out the windshield. Since many pilots were single moms, the design included a drop-down changing table in the cockpit. These gender-friendly measures were championed by Dacowits, who is not a Polish mathematician but the Defense Advisory Committee on Women in the Services. These ladies subscribe to the principle that if a thing weighs more than twenty pounds, it ought to be left on the damned truck. All buttons and switches on the Rabid Bat were to be labeled in English, Spanish, Choctaw, and Tloxyproctyl. This latter was the language of an obscure tribe of seven primitives in the Amazon rain forest. Tloxyproctyl consisted of seven words, none of which meant anything. The tribe had been discovered when one of its members, named Wunxputl, had fallen into the Atlantic atop a log and washed up on Miami Beach. Thinking that an airliner he saw must be God, he enlisted in the Air Force. The EOST (Ethnic Outreach and Sensitivity Training) program had done the rest. Secondary considerations were next addressed, such as speed, range, armament, and stealth. Critics again pointed out that none of these mattered, since Afghan weddings and lightly armed peasants could be blown up more cheaply with drones, which in any event were more agile than great honking piloted fighters. In fact Raytheon was working on wedding-recognition software, which went swimmingly and was only 1700% over budget. A maverick in Congress suggested that the Rabid Bats be lined up on a runway and used as planters for geraniums, but he was not taken seriously. Lockheed-Martin said that the program’s price would only be about $987 billion”a steal. Historically minded critics predicted that after the program was too far along to be abandoned, Lockheed-Martin would discover that the price would be…heh…rather more. This is a standard part of military contracting, with its own accounting category.